The idea of having an estate of their own was born from the desire to give shape, with their work, to something that would represent them earnestly. 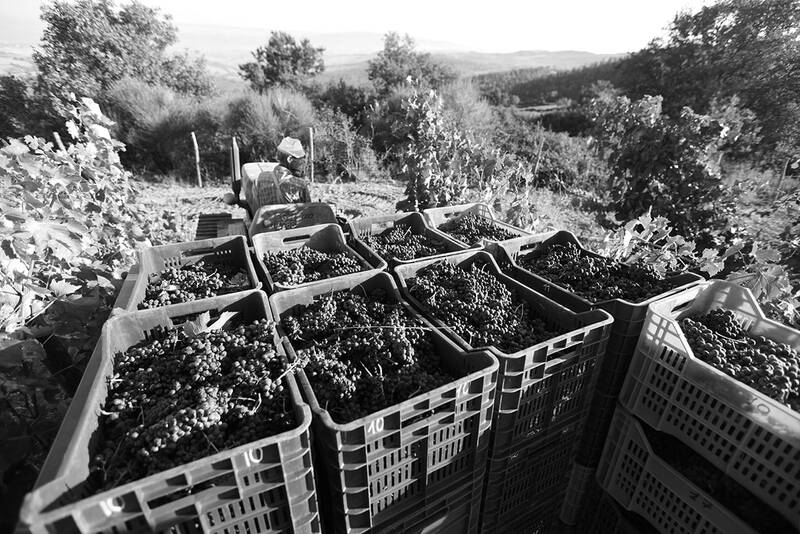 The intent was to find a place where to establish a small farm with a great vision: produce an “authentic wine”, resulting from the bond between man’s work and the territory. Finding the place has not been easy, two years of search in various areas of Tuscany, many places visited and possibilities explored but nothing that was really convincing them. Then, in 2000 a hill that had been abandoned 10 years before was offered to them, almost as a jest, as they were fields that nobody was interested in anymore. Just a few days and some research into these slopes covered by thorns were enough to understand that the right place was finally found. 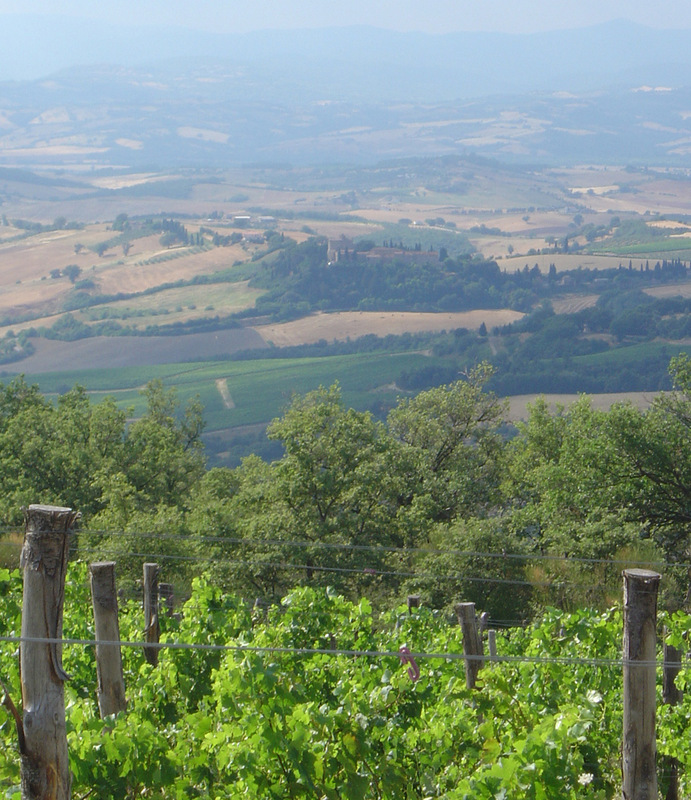 Campinuovi was born: 25 hectares on the hills at the feet of Monte Amiata, 20 km south of Montalcino. 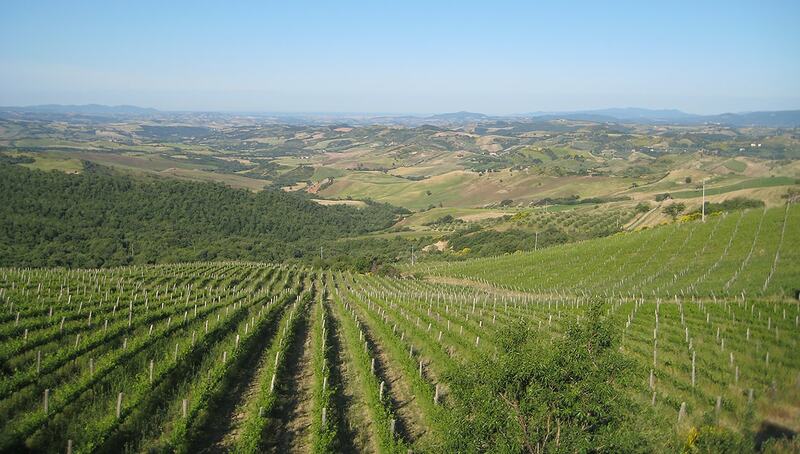 The estate faces the wide Maremma plains, and at the moment cultivates 9.5 ha as a vineyard with Sangiovese and about 10% of the vine population covered by other black grapes such as Colorino, Pugnitello, Merlot, Cabernet Sauvignon and an ancient white variety, Ansonica. 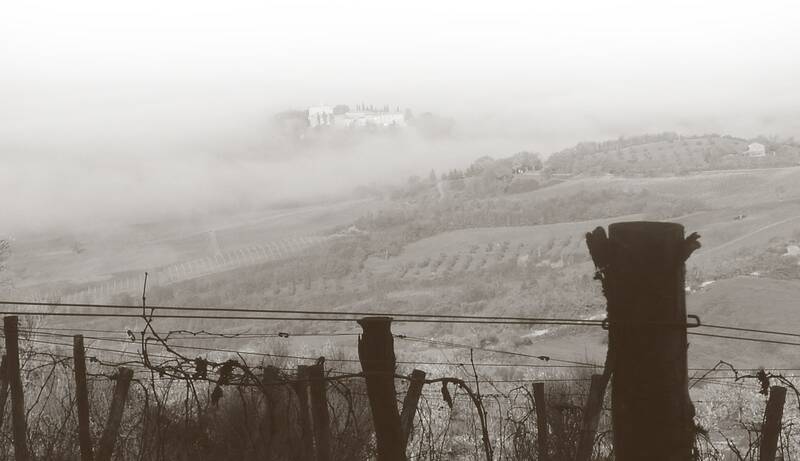 – The vineyards and the castle of Porrona in the background. The plant density ranges from 5,208 to 5,682 vines per hectare; the training system is spurred cordon. The yield per plant ranges from 0.70 to 1 kg, currently we produce about 45,000 bottles of wine with more to come as the plants come into full production. 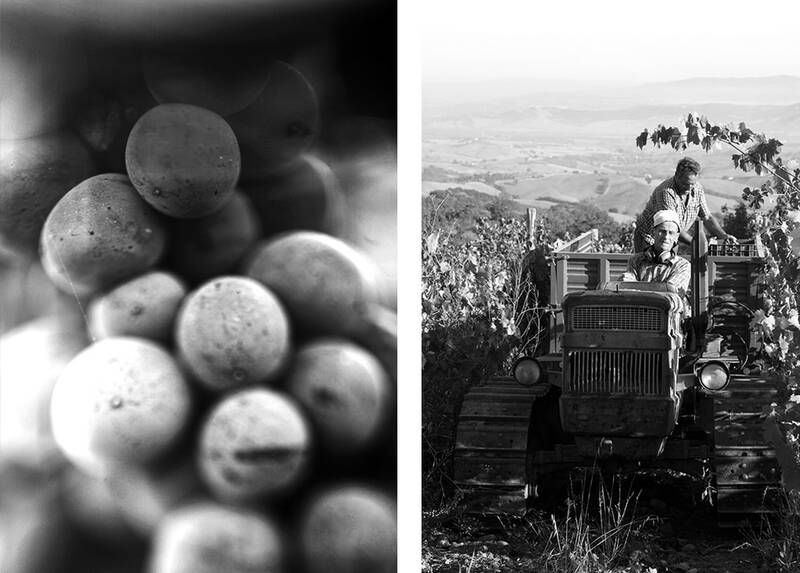 Our farming practices are marked by the utmost respect for the soil and grapevine. In fall immediately after harvest all the rows are worked with a 5-point ripper that opens the soil deeply, allowing oxygen and winter rains to penetrate well into the ground. This way the ground during the winter is able to rake in the air to regenerate the water supply which will be necessary for the vines during the next autumn season. During the vegetative phase we carefully handle the canopy in order to balance the production of grapes and leave the vegetation in the best conditions of aeration and collection of light radiation. We do not practice any stripping or shearing, it is not necessary to practice the thinning of the bunches because we already obtain a naturally balanced ripening of the grapes. The pesticide treatments are carried out only with copper (with a quantity of copper metal per hectare per year less than 2 kg) and mine sulphur (as opposed to more impure petrochemical sulphur). During the year we distribute the biodynamic preparations as per calendar indications, evaluating the soil conditions and development of the vines.